Everyone is invited to join this traditional Paseo, a 16th-century-style Grand Procession to celebrates the 500th birthday of St. Augustine's founder, Pedro Menéndez. 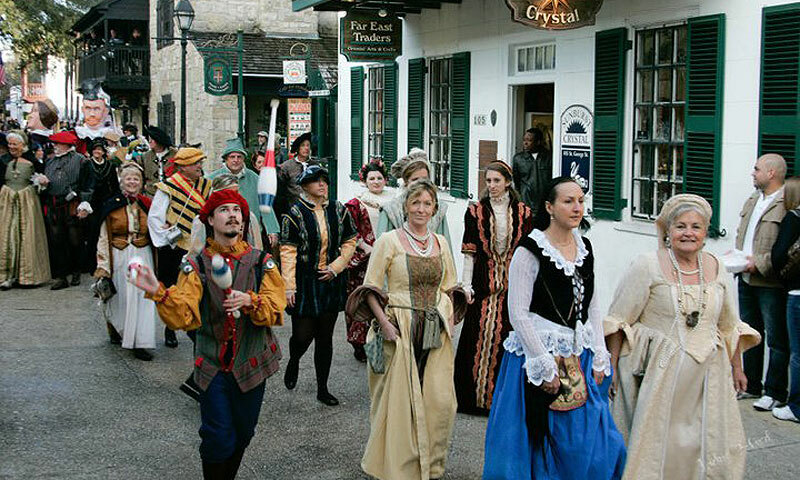 Corner of W. Castillo Dr. and San Marco Ave.
St. Augustine celebrates the 500th birthday of its founder, Don Pedro Menéndez de Aviles, with a 16th-century Grand Procession on Saturday, February 16, 2019. 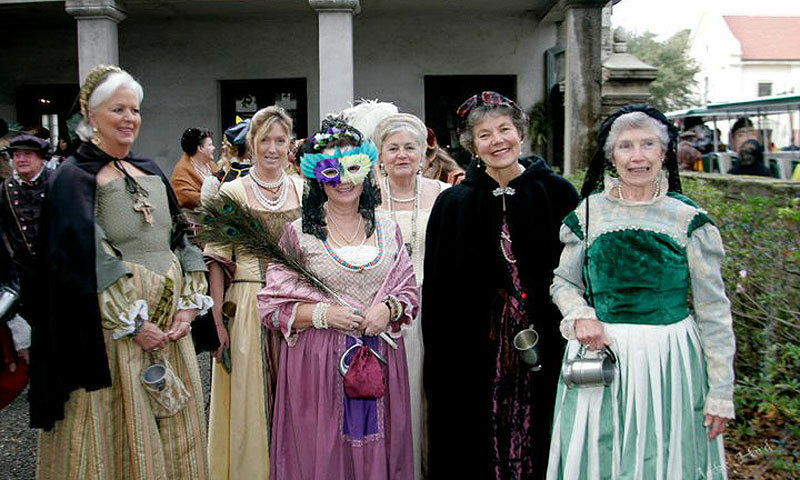 This colorful event includes 16th-century reenactors and musicians taking part in the annual Paseo. The Paseo will include living history reenactors, musicians, and entertainers as well as any visitors who wish to participate. The procession will start at the Visitors Information Center and go through downtown St. Augustine to announce the arrival of Menéndez. The procession will proceed down St. George Street to the Plaza de la Constitución with re-enactors leading the way. This event is part of the week-long Festival de San Agustin, presented by Historic Florida Militia in celebration of the 500th birthday of St. Augustine's founder, Pedro Menéndez. Other events include the School of the 16th Century on Saturday, February 9; a special showing of the PBS documentary, "Secrets of Spanish Florida" on Thursday, February 14; a wreath-laying ceremony at City Hall and a special History on the Streets Saunter on Friday, February 15; and the Menéndez Birthday Paseo and Noche de Festival gala dinner on Saturday, February 16, 2019. When: The Paseo starts at 2:30 p.m. on Saturday, February 16, 2019. Where: The parade begins at the Visitors Information Center at 10 West Castillo Drive and proceeds down St. George Street to the Plaza de la Constitución in historic St. Augustine, FL 32084.